This deep pore cleansing clay mask infused with apple cider vinegar might just be the answer to your acne woes. 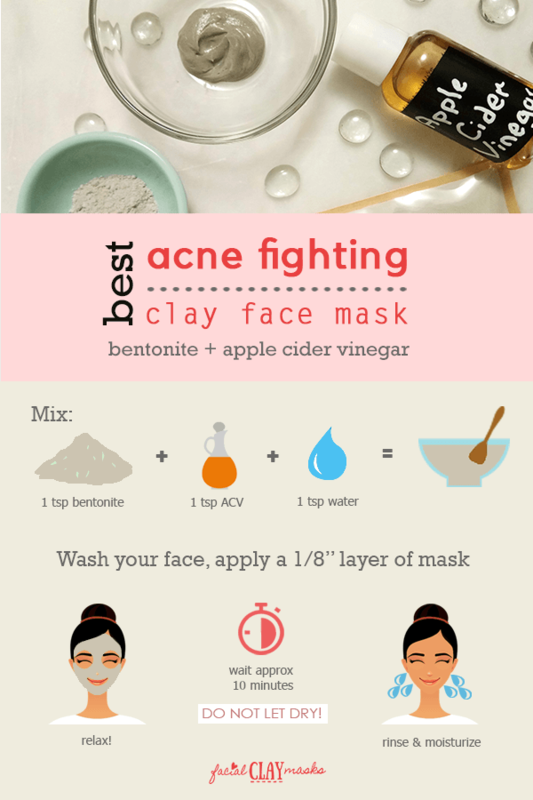 Bentonite and apple cider vinegar mask is one of my favorite acne-busting, super pore cleansing go-to masks. After years of relentless acne, numerous treatments and trying many skincare options available, I finally found a product that worked. Bentonite clay! Which turned out to be not a “product” at all. The products that I kept purchasing or getting prescriptions from my doctor for were all products that contained chemicals and preservatives. I even tried the “green” natural products to no avail. Bentonite was the simplest solution from nature itself. Clay, was the answer! 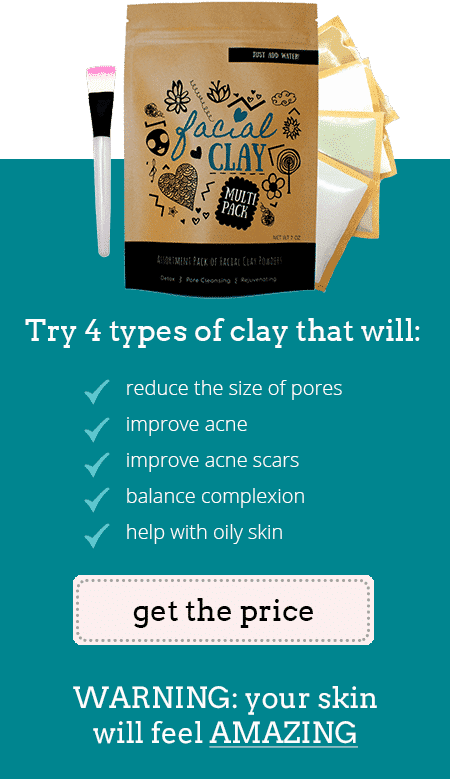 I love this clay mask, with simple 2 ingredients. 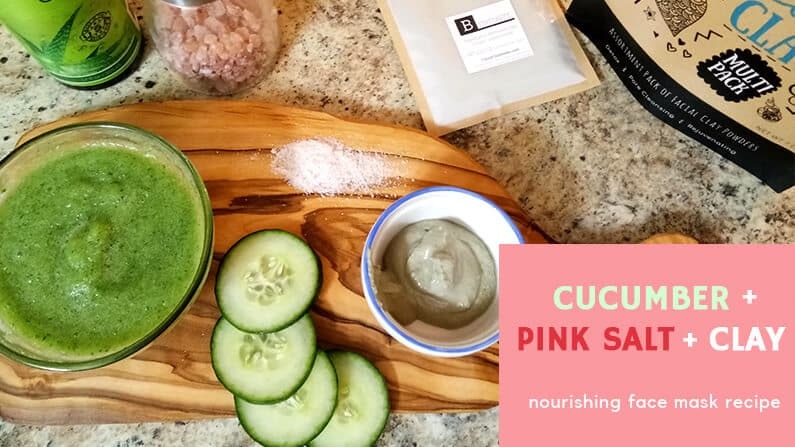 Incorporate this mask into your weekly skincare routine 1-2 times per week. For me, I notice a great difference with my acne. 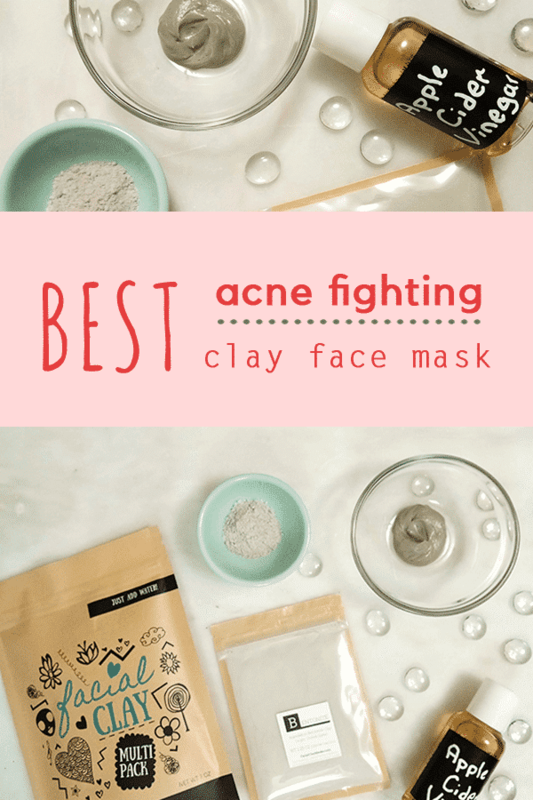 If I feel a breakout might be around the corner, a bentonite clay mask is my go to. The breakout will not happen at all or Bentonite will decrease the length of it’s stay, dramatically. Made of mostly montmorillonite, derived from volcanic ash, the most dominant mineral in the clay determines it’s name, calcium bentonite or sodium bentonite. In addition to the dominant mineral in each type of clay, they also vary in the sorption method of adsorption or absorption. Both clay types do a “ion exchange”, which in simple plain english terms means they attract the positive charge toxins, bacteria, chemicals and leave behind minerals. The largest mineral deposit of clay is found in wyoming, USA, where we source our bentonite from for our facial clay assortment pack. I have another article (in the works) that goes much farther in depth into the history, benefits and how bentonite works. Bentonite, also known as the Indian Healing Clay, has many, many benefits for your skin. 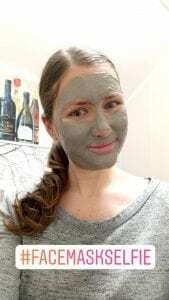 What does Bentonite Clay do for your face? You might suffer from acne or bad complexion, in which case Bentonite will do a lot of good for you. But even if you do have perfect skin and complexion, a deep pore cleanse will ensure that you stay that way. When applied, the clay mask feels like a “pulsating” reaction is happening on your face. After removing the mask, your skin will feel sooooo smooth. To get started, you only need 2 simple ingredients and a couple easy to find equipment items from your kitchen. What is Apple Cider Vinegar “with the mother”? You can easily tell the difference of an apple cider vinegar “with the mother” and one without. An apple cider vinegar without is clear and you can almost see through it. An apple cider vinegar that contains the mother, my favorite is Bragg Apple Cider Vinegar above, is murky, often with sediment at the bottom. It contains strands of proteins, enzymes and friendly bacteria, all which are the most beneficial part of the apple cider vinegar. So if you are buying a brand without the mother, it’s straining out a major part of the nutrients. Because those strands of proteins, enzymes and friendly bacteria settle at the bottom, make sure before use, you give the bottle a good shake. 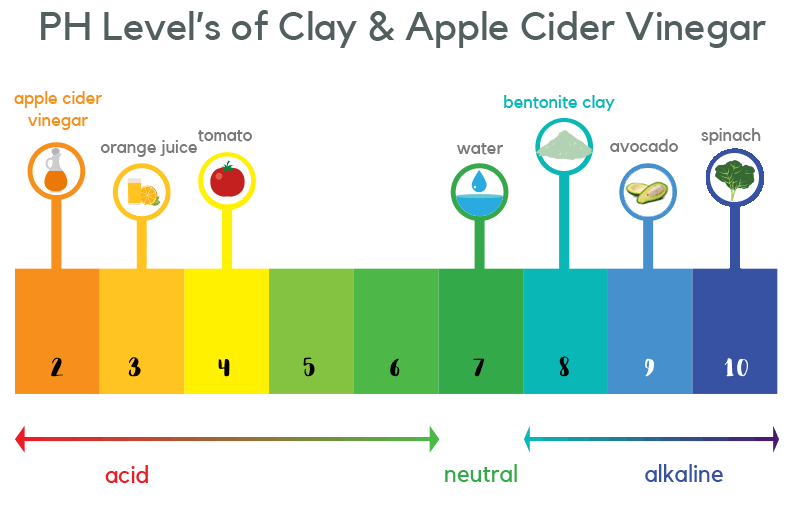 Bentonite Clay is very alkaline, with a PH balance of 8.9 to 9. The first time I tried a Bentonite Mask, I was mortified. It looked like a gooey, and lumpy mask that was hard to apply and felt like it wouldn’t stick. When mixed with water it can cause this clumpy mixture. If you let the bentonite and water sit for a couple hours, you will avoid this clumpy mixture. What’s the answer? Mix it with apple cider vinegar. Apple cider vinegar is very acidic and contains many anti-inflammatory properties that are great for your skin. 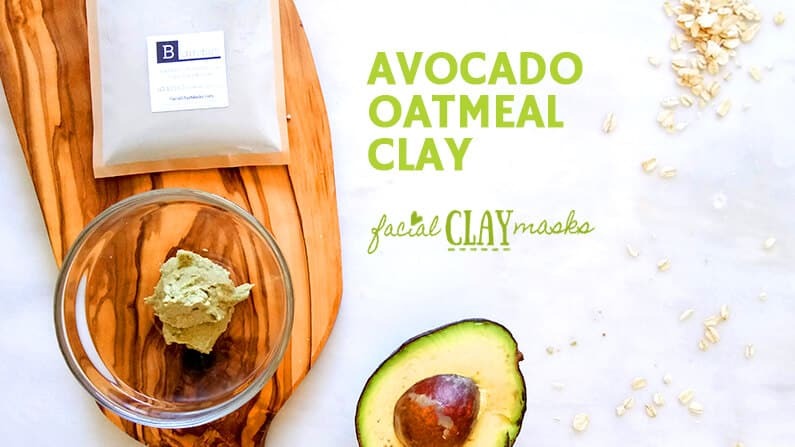 When mixed with the high alkaline of Bentonite Clay, it creates a smooth, perfect mixture mask. In a small glass mixing bowl, with a plastic spoon or mini spatula, mix together 1 tsp clay with 1 tsp of apple cider vinegar and 1 tsp of water. If you look at other recipes available that are similar, you will notice they indicate to do a 1:1 or 1:2 ratio of apple cider vinegar, without the water. The first time I tried the straight mixture, I was so excited to finally get a smooth mixture. I immediately drew myself a bath, applied the mask and settled in to relax. Within minutes of relaxing into the bath, my eyes started watering from the strong scent of the apple cider vinegar. This did NOT make for a relaxing bath at all and I found myself counting down the time till I could take the damn thing off. That’s why I have tested and recommend that you mix the liquid portion with part apple cider vinegar and part water, it’s a much more enjoyable experience overall. Don’t get me wrong, I LOVE apple cider vinegar. In fact, I also use a diluted mix of ACV as my daily toner. In general, it’s not suggested to use undiluted apple cider vinegar directly on your skin. Water is completely optional, if you decide to forgo the water, mix 1 teaspoon of bentonite with 2 teaspoons of apple cider vinegar. Using a facial mask brush is my preferred way to apply a mask. You can absolutely apply with your fingers if you don’t have one. By using a brush, you can avoid any bacteria that might be on your hands getting transferred to your face. We included a brush in our facial clay mask multipack for this reason. I also find when applying with my fingers I lose product to my hands vs applying as much as I can to my face. Using the face mask brush to apply the clay mask to my face gives me flashbacks to getting a facial where the esthetician is smoothly applying a mask and instantly let’s me relax. Using the face mask brush, apply an even layer to your face and jawline. Do not get too close to or in your eyes. I like to start by first applying a thin layer to my face, and then applying a second thicker layer. 1. How often should you apply a bentonite mask? 1 to 2 times per week for normal, combination or oily skin. If you have dry skin start with just once per week. 2. Can you apply a Bentonite mask everyday? When I first started with clay masks, I applied one everyday for 4 days and for my super oily skin this worked well and now I do maintenance of 1 to 2 times per week. However only do this for a max 4-5 days, only if you have oily skin, and moisturizer properly. 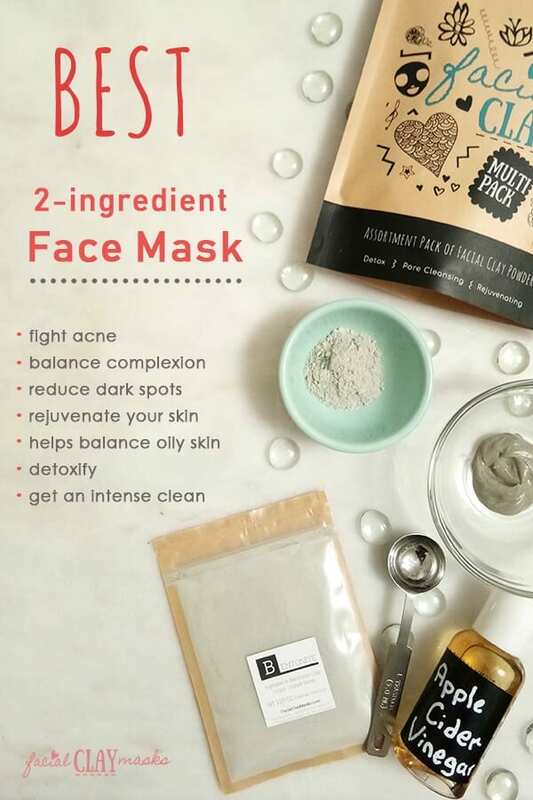 Check out our manuka honey kaolin clay face mask that’s much gentler for everyday use. 3. Should you apply before or after a shower? After a shower is best, when your pores have been opened up by the hot shower, unless you have dry skin, do the mask prior to the shower. 4. Does Bentonite clog your pores? No! In fact is does the complete opposite and removes impurities from your pores.